Yesterday turned out to be one of the more frustrating selling into a buyer day scenarios. Fortunately, we happened not to be around to trade it. However, in the interests of maintaining the integrity of the system being demonstrated, here are the 3 entries of yesterday. Of the three, at least one and possibly 2 permitted a scalp exit. It would have closed the day on perhaps a 0.4% loss. Today is a buyer day. As of now, there have been 2 buys which would have made back most of the losses from the previous day (not being at the screen, we also missed the gains from those two signals). There have been scalp outs on both. We are now in the territory of the equity curve where the system takes small gains and losses, more or less treading water until it catches a good trending trade. 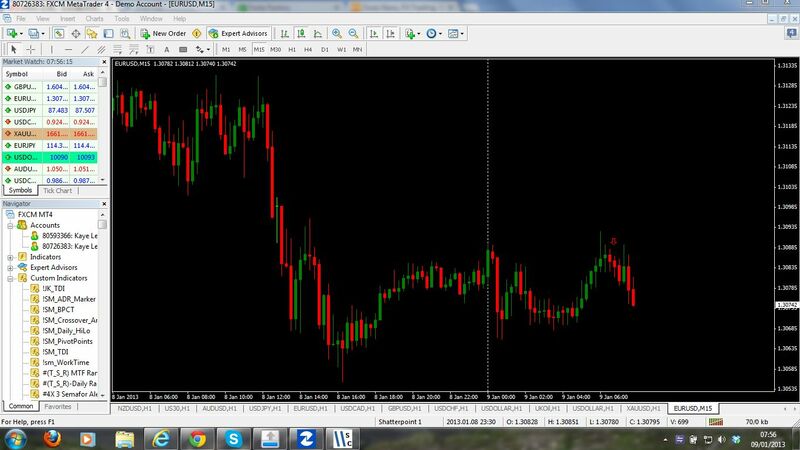 Today is another seller day on the EURUSD. GBPUSD has been doing better on the Navigator in the past two days, although the Euro performance has been well acceptable at about breakeven. Since the key is consistency, we are not going to switch horses mid-stream. It is simply the statistical probabilities coming back into line after an exceptionally good performance by the Euro last week. The third sell did it and looks to be the high of the day. 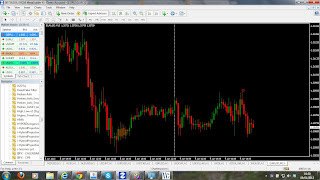 We got shaken out about 30 pips in profit on the second position, making back most of the losses from yesterday. A third sell was initiated by the 15M Time Navigator. It has been scaled out profitably and so we shall see if this turns out to be the downtrend of the day. The second sell was closed for a very small profit following the dangerous looking oversized green candlestick against it. The conditions are still in place for a sell, so there may well be a third sell. Hopefully, this does not turn into a complex consolidation day. The second sell of the day has scaled out some profit and is now at breakeven. With some luck, this will begin the downtrend of the day. The first sell was finally stopped out for a 6 pip loss - 0.2% of the account and we are waiting for the next entry. Again, it will hopefully be a full risk entry in a favourable position. There have been quite a few half risk positions of late. 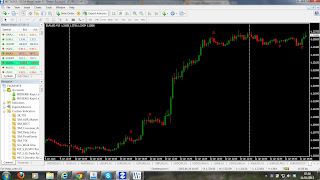 (C) Copyright 2012 Straight Talk Trading.. Awesome Inc. theme. Powered by Blogger.